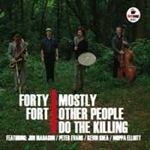 If ever a jazz group defied labeling, it is Mostly Other People Do the Killing (MOPDtK). With their self-titled debut (Hot Cup Records, 2004), the group had demonstrated a wildly engrossing pastiche encompassing influences as diverse as Ornette Coleman and traditional New Orleans swing. 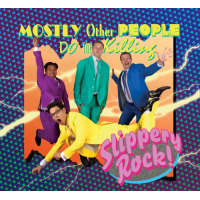 MOPDtK was founded by bassist Moppa Elliott and trumpeter Peter Evans who met in the late 90s as students of the Oberlin Conservatory of Music in Ohio. When the two relocated to New York, saxophonist Jon Irabagon and drummer Kevin Shea, an eleventh-hour replacement at their first quartet performance, joined to form the long-running quartet. Mauch Chunk represents the first recording in more than ten years, where the core group has modified their personnel. With the recent departure of Evans, the group interplay is altered, if not the methodology; still ranging from bop to free improvisation with the occasional reference to chamber jazz, and veering from structure to free form. 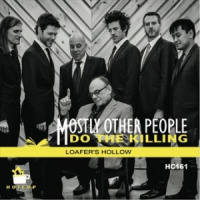 Pianist Ron Stabinsky, now the fourth member of the quartet, is not new to MOPDtK, having performed with the group live in 2013 and expanded the group to a quintet for the very cool Blue (Hot Cup Records, 2014). 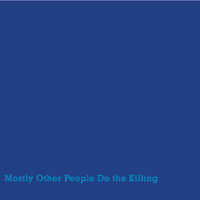 Stabinsky's fit with MOPDtK would not be obvious from the note-for-note recreation of Miles Davis' ground-breaking Kind Of Blue (Columbia, 1959) as the album is completely atypical of MOPDtK's output. Mauch Chunk, however, makes it clear that Stabinsky's contribution is not only refreshing but also an anchoring element as the band matures. Stabinsky jumps right to the front, quickly joined by Irabagon on the Henry Threadgill dedicated "Mauch Chunk is Jim Thorpe" and the piano/saxophone combination imparts a far different accent compared to past dynamics of Irabagon and Evans. What has clearly not changed is the quartet's penchant for effectively mixing passages of engagement with those of cooperation and the addition of a chord instrument enhances both. "West Bolivar" is a bossa nova-themed dance on the third rail with Shea pushing Stabinsky and Irabagon in and out of harm's way. The off-kilter rhythmic structure of the Dave Holland inspired "Obelisk" features some explosive soloing from Irabagon matched by Stabinsky's inventiveif more structuredcontribution. More consistently melodic is "Niagra," a subdued waltz for the late saxophonist Will Connell whose club of the same name was the first live venue for MOPDtK. Hard bop and blues dominate "Herminie" while "Townville" utilizes three distinct melodies linked by free improvisations. The Latin R&B flavor of "Mehoopany" features classy and soulful solos from Stabinsky and Irabagon; Shea interrupts the mood with a hectic snare performance before the piece returns to its central theme. The odd title is, like almost all of Elliott's compositions, taken from the name of a Pennsylvania town. 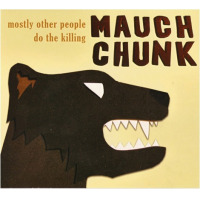 Mauch Chunk itself is the state's former name for the town thatas explained by the extended title trackis now Jim Thorpe, PA.
As the wider recognition of MOPDtK builds, it's appropriate to point out that Elliott has become a leading composer of complex scores with the kind of high-wire flexibility needed to maneuver between structure and improvisation. The new quartet, as with the Evans era group, can sound like a large ensemble or an intimate club act as they seamlessly move from lyrical expression to the sound of an exploding junkyard. 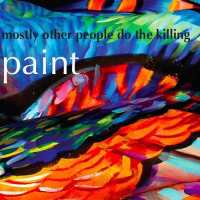 After more than ten years, Mostly Other People Do the Killing sounds better than ever; reinvigorated, mischievous and perhaps more willing to take a deep breath in the midst of these multifaceted works. Track Listing: Mauch Chunk is Jim Thorpe; West Bolivar; Obelisk; Niagra; Herminie; Townville; Mehoopany. Personnel: Jon Irabagon: alto saxophone; Ron Stabinsky: piano; Moppa Elliott: Bass; Kevin Shea: drums. 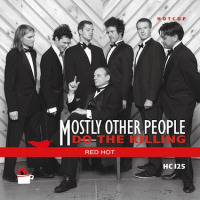 Mostly Other People Do the Killing: Red Hot!